Looking for an adorable suburban town just 20 short minutes from downtown Indianapolis to call home? Then Zionsville may be the place for you! Pioneer settler William Zion first founded Zionsville in 1820. By 1852, Zionsville was registered with Boone County and the town began to grow. In 1861, Abraham Lincoln even took a visit to Zionsville, giving one of his whistle-stop speeches* on the way to his inauguration! (Pretty cool, right?!) Zionsville is also home to a building on the National Registry of Historic Places. The historic Town Hall (Castle Hall) was built in 1902 and served as Zionsville’s Town Hall until 1935 when it was renovated into a movie theater. In 1983, Town Hall was added to the National Register of Historic Places and today is still known as a charming piece of Zionsville history. *A whistle-stop speech was a popular campaigning tactic used by politicians, where the politician would give a speech to a crowd from the platform of a train observation car or a private railroad car. 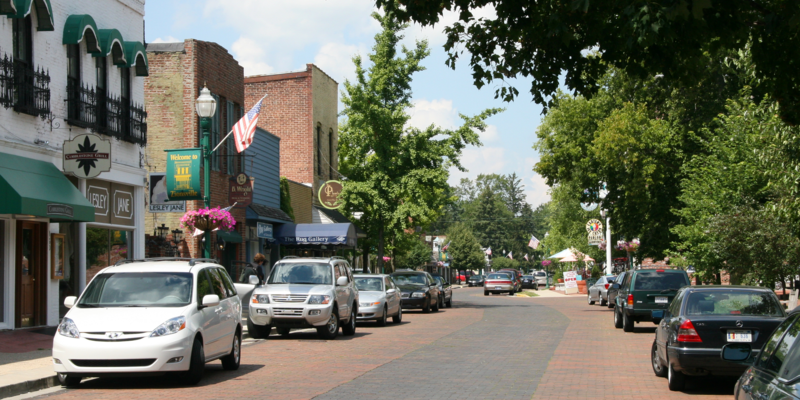 Downtown Zionsville is known for its village-style design, brick roads, and historic period architecture. Downtown is quaint and overflowing with over 160 shops and restaurants! Businesses ranging from high fashion boutiques to specialty shops line the streets of downtown Zionsville. The shops are great, but don’t forget about the awesome and locally-owned restaurants that are great for families and date night! If you’re a reader, one cool shop to visit is Black Dog Books. The small white house is filled with rare and used books ranging from rare Civil War era novels to first editions to children’s books. If you’re lucky you may even get a visit from the black dog herself, Sophie! Once you’ve taken a look at the shops and boutiques and have worked up an appetite, check out restaurants like The Friendly Tavern or My Sugar Pie! The Friendly Tavern (21+) is known for its famous wings. So famous that the tavern, usually closed on Sundays, even has to open on Super Bowl Sunday! (I promise, these wings are dream worthy!) Don’t forget to also check out My Sugar Pie! There are over 40 different types of pies made with original recipes that will leave you missing your grandmother’s kitchen! Zionsville is home to one of the top school systems in Indiana. It has been ranked in the Top 5 Indiana School Districts for the past 15 years. This high ranking and superb education is due to the continuous effort of the teachers, students, administration, parents, and the community! Zionsville residents are always proud of their education system and accolades. Zionsville is one of the many incredible suburbs of Indianapolis. It is a great place to raise a family with its awesome school system and the easy commute to the city—it’s a hard place to beat! The tight knit community is a fun, comfortable, and friendly place to settle down and call home! Want to know more about living in Zionsville? Contact the Ferris Property Group. "The Zestimate® home valuation is Zillow's estimated market value, computed using a proprietary formula. It is not an appraisal. It is a starting point in determining a home's value. The Zestimate is calculated from public and user-submitted data, taking into account special features, location, and market conditions." This tool from Zillow along with the site’s endless data about available homes can be helpful. However, it is important to know the accuracy with which such estimations are made and to keep that in mind when searching for a home. While the Zestimate is one idea of a home’s worth, this calculation might actually be very far from a true market value. Because the values are determined by a formula, applied in the exact same way to every single home, the outcomes may end up being wrong by gross amounts. This could be important for a potential home buyer: the unique qualities and seemingly trivial details of each home require a human touch to determine their true values. Every home cannot be judged on the exact same scale. 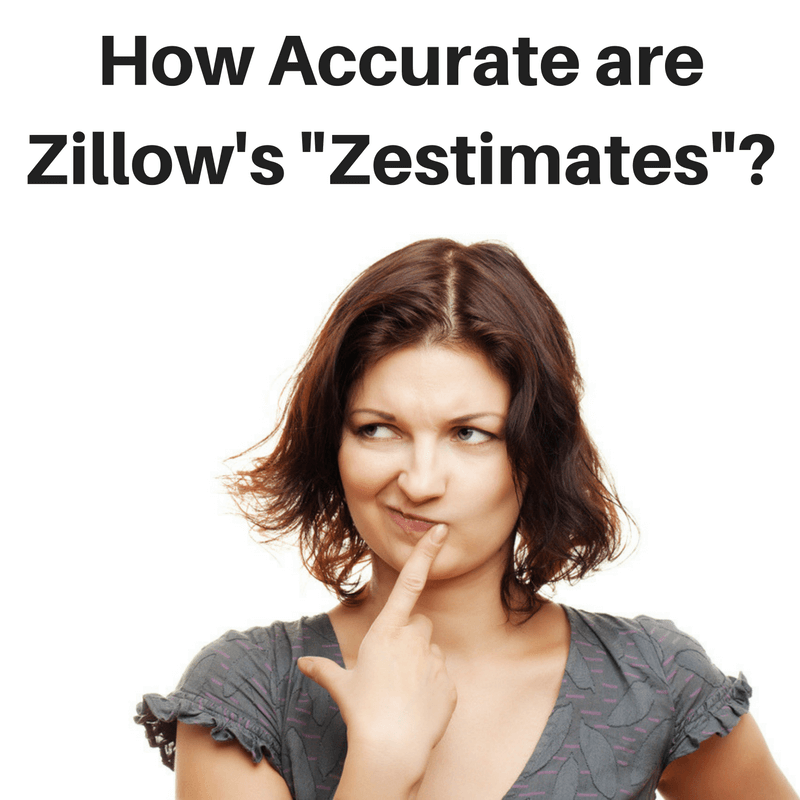 Despite the apparent convenience of trusting Zestimates, home buyers should search for more accurate estimations of homes’ market values by asking trusted Realtors. Realtors with experience and expertise can determine estimated market values that are much more realistic. Realtors use research about homes, understanding about neighborhoods, and consideration of specific amenities in order to determine market value—they do not use a constant formula. Inaccurate estimations about a home’s value can be harmful to both buyers and sellers, and sometimes even discourages home sellers from listing their houses. Whether the Zestimate is far too low or far too high, improper expectations from either side of a home purchase scenario can lead to dissatisfaction. If you want to look more closely at the accuracy of Zillow Zestimates, check out their table here which details each Zillow city and how the Zestimates compare to the sale prices. 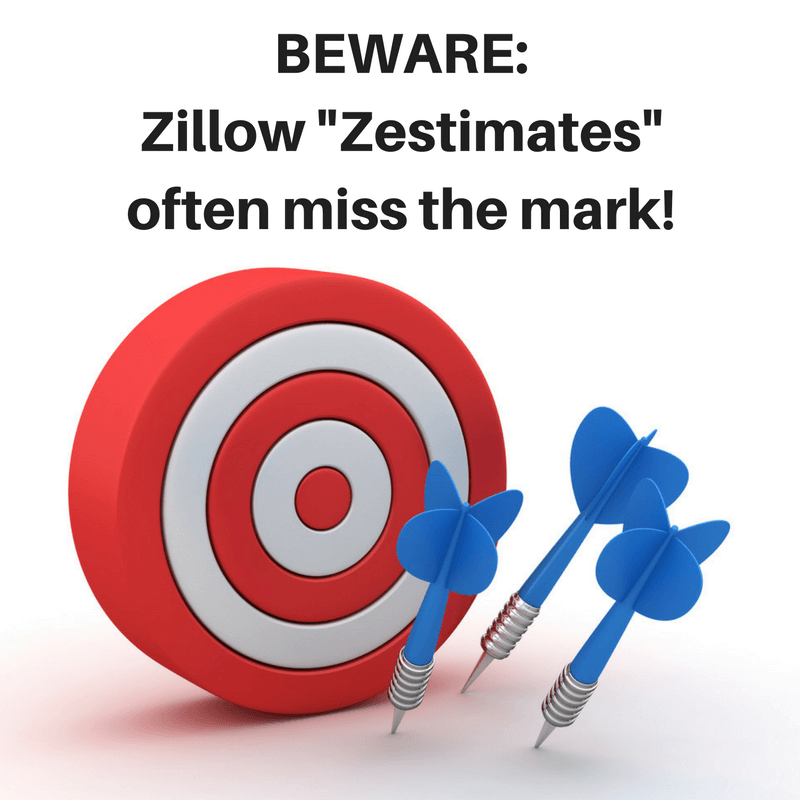 The large margin of error with which this Zillow tool estimates a home’s value suggests that Zestimates should be used, at most, as an idea of a home’s ballpark value, and not of its accurate market value. While you may find Zillow a valuable tool in browsing for a home, your best method when actually taking the steps toward purchasing a home is to get a trusted, local Realtor on your side. Not only are Realtors able to consider the unique characteristics of a home when determining its value, but they are also great at making recommendations and helping both buyers and sellers through the process of a home sale. Having a knowledgable, experiences Realtor on your side can make all the difference. If you’re looking for homes in the Indianapolis, Indiana area, let us help! Ferris Property Group can help you search, discover, and purchase confidently. Let one of our passionate Realtors help you find your new home. Indianapolis is a wonderful place to be during the holidays. Winter brings cheery lights, warm smiles, and wonderful attractions to the Circle City each year, helping families all over get into the holiday spirit. 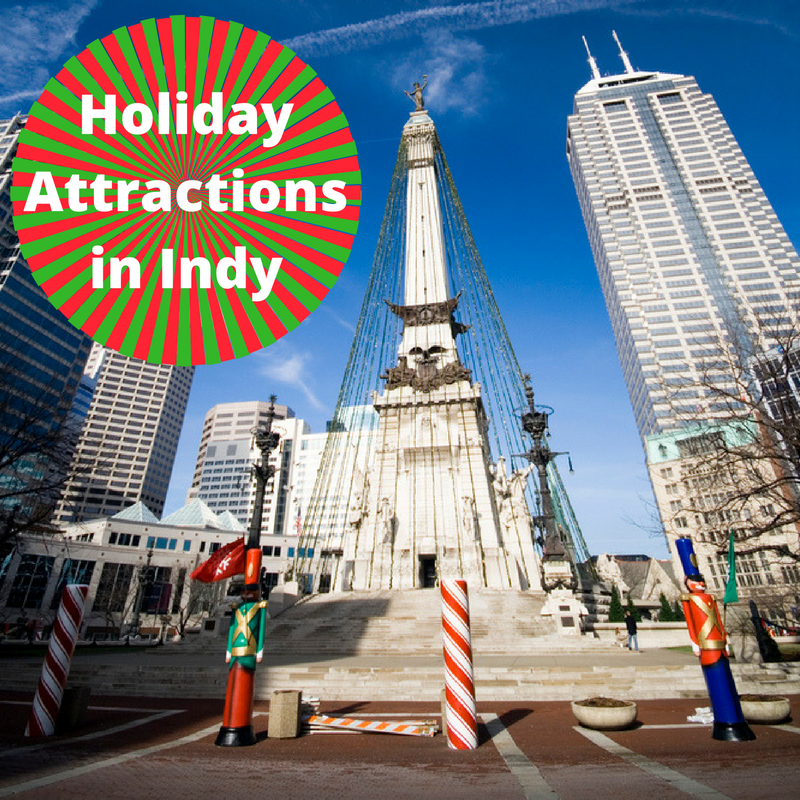 Here are some of our favorite Indianapolis holiday attractions! Celebrate the holiday season each year with this beloved tradition. Reynolds Farm Equipment, a family-owned farm and home goods store in Fishers, opens up the season with a fabulous light display. Beginning November 22 and lasting through the holiday season, you can take your family by to see the delightful lit-up trees, sleighs, and stars. The best part: this is a free holiday attraction everyone will enjoy! Likely the best-known Indianapolis holiday attraction is Christmas at the Zoo. Some people wait all year long to make their one annual zoo visit during this season. As temperatures drop, lights and Christmas cheer go up! Seeing the amazing animals at the Indianapolis Zoo is a marvel on its own, but even more enchanting with the lights and awe of the holiday season. Bring your children to this event for a magical experience they will always remember! Especially kid-friendly is the jolly Days Winter Wonderland at the Children’s Museum of Indianapolis. November 25- January 8, you can celebrate your favorite holiday traditions at the museum and even visit with Santa! There’s even an “ice-skating” rink where kids can skate in their socks—it makes for some adorable holiday photos! This is just what it sounds like—a glorious gathering of 72 decorated, extravagant winter trees. Check out the schedule of daily programs and events going on among the trees this winter: from musical performances to craft-making. This holiday adventure begins at the Eiteljorg Museum of American Indians and Western Art. If you have never been, you should definitely check it out sometime with your family for a fun learning experience! During the holiday season, their Exhibit “Jingle Rails” brings nine train displays with nearly 1,200 feet of track to life. Watch the trains whiz through downtown Indianapolis monuments and west through legendary sites. Get a boost on your holiday shopping at the annual pop-up shop shopping party in Indianapolis. Over 100 local businesses join in on this tradition, bringing their goods and an excited crowd to the Indianapolis Central Public Library. Put on your hats, mittens, and scarves and head to Monument Circle to see the dazzling holiday lights that make up the world's largest Christmas tree! Pose for pictures near the beloved Nutcrackers. For an extra special evening, take a carriage ride around the city. You'll find carriages waiting for you on the Circle. Next year, plan ahead and gather with 100,000 other locals for the lighting of the Indianapolis Monument Circle. Enjoy live performances too! This event occurs annually on Black Friday once all the shopping sprees have subsided. The Indianapolis Motor Speedway has been transformed into a winter wonderland! This brilliant drive-through holiday event is new to Indy this year. Maneuver through 40 different winter scenes along 1.7 miles of the track all while sipping on a hot cup of cocoa. The dates to join are Nov. 18 – 20, Nov. 23 – 27 and Dec. 1 – 31. This could be a new Christmas Eve tradition for you and yours! Indy’s favorite mansion, with its 1930’s allure and treasured history, opens its doors for a wonderful Christmas celebration. Visit and see the home decorated with the traditional holiday garb, and just a touch of the unusual too. USA Today voted Christmas at Lilly House one of the top Indianapolis holiday attractions! The sounds of the season are the most alive at this can’t-miss Indianapolis attraction. The Indianapolis Symphony Orchestra performs some of your most beloved holiday songs, along with tap dancing Santa’s and so, so much more! It is an experience that will send you home with a twinkle in your heart for the holidays to come. This year Josh Kaufman joins the Indianapolis Symphony Orchestra, returning to his home town for this wonderful celebration after winning The Voice in 2014. We hope you enjoy making your way through Indianapolis this season to take part in these traditions. As the years go on, these attractions keep getting better and always remind us how much we love this great city. Happy Holidays, Hoosiers! Don’t let the prospects of buying, renting, or renting-to-own overwhelm you! While there is so much information out there and so many options when it comes to finding a new home, we hope to help make things a little easier to understand. 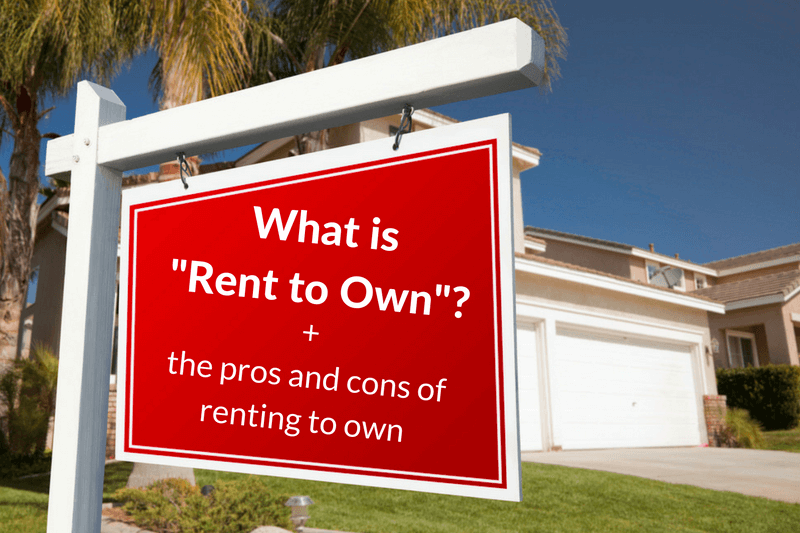 Rent to Own is different from both owning and renting. Is it the right choice for you? Read on for an explanation as well as some pros and cons. Let’s say you want to own a home but cannot currently secure financing for a down-payment or afford other initial moving costs. Renting to own might be a good route for you. This option allows you to make small payments on the home you live in while still paying the current owner for rent. Really, you’re leasing the home and making rent payments that are partially applied toward the price to buy the home. After a few years of living in the home, you will have some equity in the home’s value and will have another chance at financing. Generally, there is still a relatively small initial cost as rent to own tenants must pay a fee in order to get the rent to own option. This is an investment you make to start the process, which will eventually go toward the final cost of the home. Generally, the option rate is around 3%-5% but can range from 2.5% to 7% of the home’s value. The amount of rent that goes towards ownership must be negotiated between the buyer and seller. The best agreements can put you in a situation to purchase your home after two years of renting. Pro: This method allows you to invest in owning a home while still in the rental stage. Instead of paying rent to live in one home while you’re saving to buy another, you can pay a portion of your rent money toward owning the home you live in. Con: You might spend more money over time. Of course, the worth of your home is determined by more than just a dollar amount, but the total amount you pay for your home will likely be higher with rent to own options that if you were able to simply purchase the home. Con: Many homes with this option are in less-than-ideal areas. One reason why an owner might want to give potential buyers the rent to own option is that they are having a hard time selling the home. Homes in ideal areas sell more quickly and easily and are less likely to have the option of rent to own. Pro: You will have more time to deal with the bank. Sometimes the home-buying process can feel rushed and stressful in dealing with financial institutions and waiting on approvals, loans, and appraisals to go through. With rent to own, you postpone acquiring a mortgage and get straight to investing in your home. Con: There's no way to predict which way mortgage rates will go. 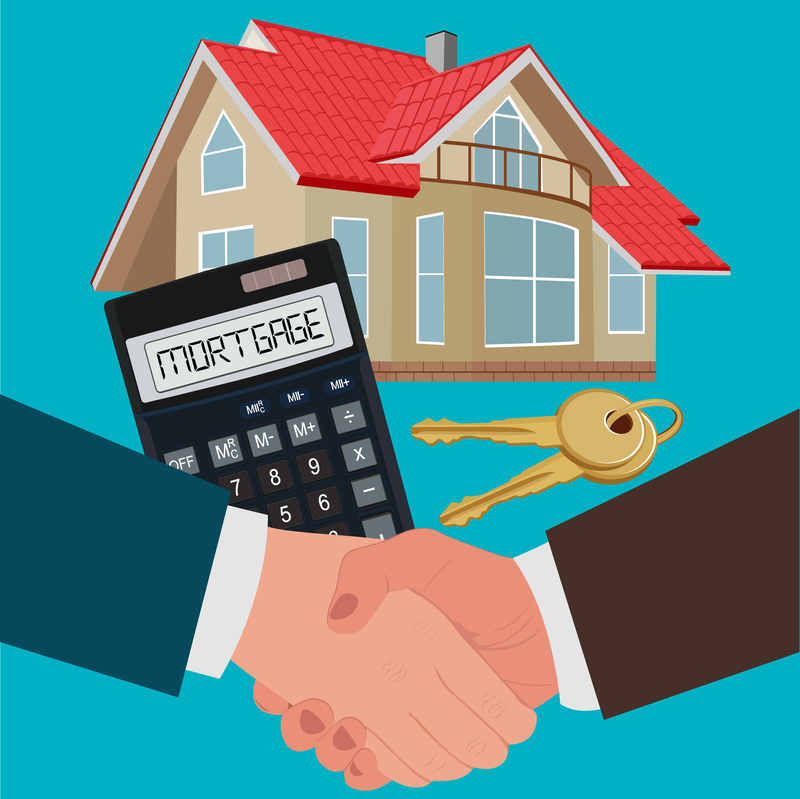 It's possible that mortgage rates will go up by the time you are ready to secure a mortgage. Con: The tenant is in charge of the maintenance. You can no longer expect your landlord to come fix your leaky faucet or old windows. Once you decide to go on the rent to own journey, the home and its maintenance are your responsibility. Pro: It allows buyers to “try out” living in a neighborhood or a new home without making a final commitment. You don’t have to buy the home at the end of the rent-to-own session. This is different than actually purchasing a home, which means you’re responsible for selling it if you no longer want to live there. We hope this post helped you understand the unusual process that is rent to own. If you are considering this option, be sure to work with a Realtor who has experience in rent to own transactions. If you have any questions or more info to share, please do so in the comments below or contact us here. Looking for a small, quaint town to call home? 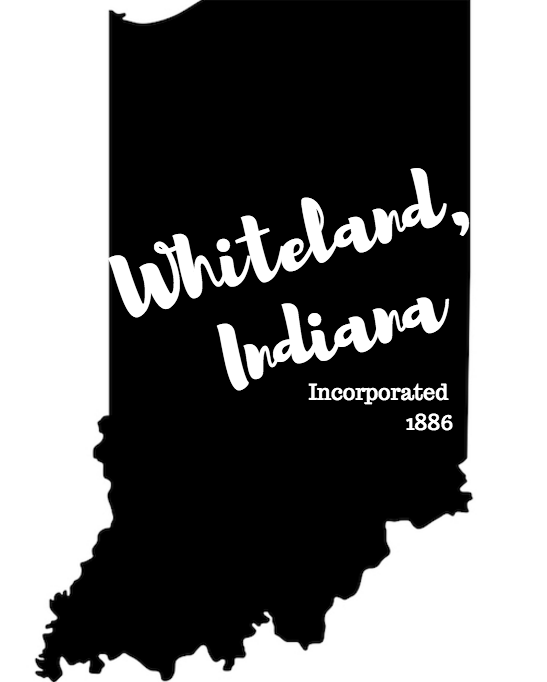 Whiteland, Indiana may be right for you! Although first incorporated May 3, 1886, the town began growing roots as early as 1853. The then-village originally called “Wheatland”, started with 40 business plots hoping to blossom into a sophisticated town. A post office was established around 1860 and Wheatland was changed to Whiteland. Whiteland grew with popularity in 1884 when it became home to one of the famous military bands of the state. With 16 members, the band won multiple awards in years to come. Whiteland and New Whiteland share most of their starting history. New Whiteland, originally West Whiteland, began with just a small cluster of homes about half a mile away from Whiteland. When a railroad was established in 1900, New Whiteland began to become more established on its own and grew westward. Again, with the growth of transportation developments such as the expansion of highway US 31, Whiteland and New Whiteland became more and more separated and in 1954 New Whiteland became an official town. The two towns share a border and attendance at the same high school; yet differ in their services and future plans. Kacey’s has been a Whiteland staple for close to 40 years! It is a prime example of Whiteland’s values of family, relaxed atmosphere, and small-town feels. Kacey’s started off as “The Pizza Spot,” serving just pizza and in 1988 added pasta and a sandwich shop. At first, townspeople were confused with the additions, thinking the two shops were separately owned and run. In 1990 the confusion was resolved when the restaurants became Kacey’s Twin Eatery. Kacey’s is not just known for its wide array of food, but also for its Coca-Cola décor and its traditional 5-cent Coke bottles! This is has been Whiteland’s well-kept secret since 1978, but word is getting out! Check out Kacey’s Twin Eatery and grab a 5-cent Coke bottle! Whiteland is a small town perfect for growing families. With many different communities to choose from, it is easy to find the one with the perfect fit. From its easy commute, being right off US 31 and SR 65, to its quaint and friendly relationship with neighbors it is a great place to raise a family and balance a city career. If you liked this post and want to explore other Indianapolis neighborhoods, check out our spotlights on Irvington, Zionsville, and other towns here. If you’re interested in one of these wonderful neighborhoods as a new place to call home, Ferris Property Group is here to help! We love helping people find their perfect place to feel like home in Indianapolis and the surrounding towns. 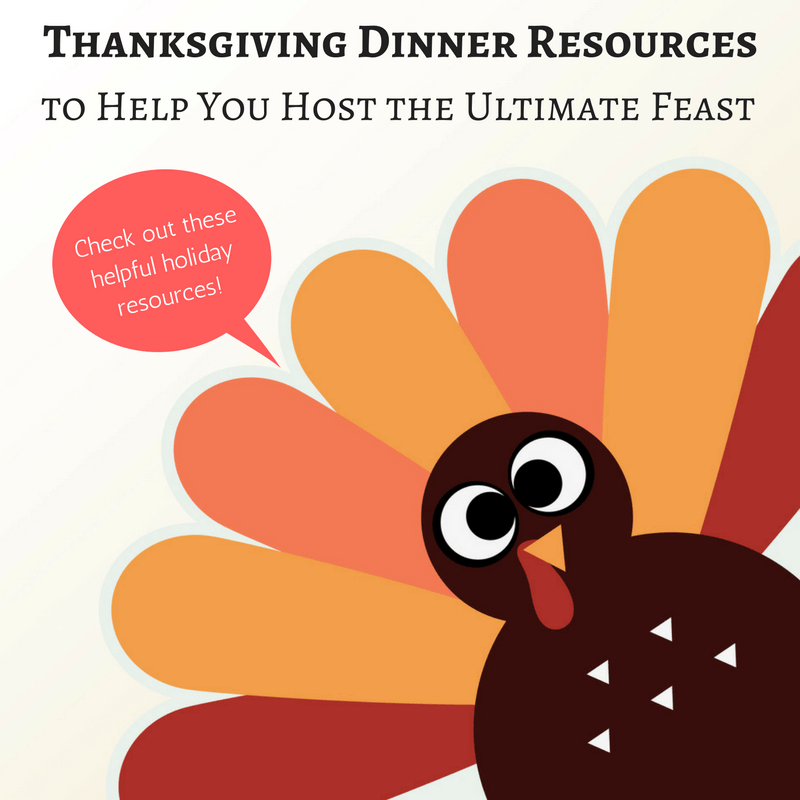 Thanksgiving Dinner Resources to Help You Host the Ultimate Feast! Buying a turkey for your Thanksgiving meal can be a challenge. When you get to the store it can be daunting to see all the turkey options, but it’s not as difficult as it may seem. Rule of thumb: 1 pound per person. It’s always difficult to guess the right amount of food when hosting a Thanksgiving meal. The balance to make sure everyone is fed and the leftovers don’t spill out of the fridge is tricky to find. This resource breaks down every part of your meal and helps you ensure that all of your guests will be fed and full! The turkey is the star of the show on Thanksgiving Day. It is the key to a successful, unforgettable meal. Check out this resource for thirty awesome ways to cook your turkey. You’ll find everything from traditional to bold: try any of these recipes and everyone at your table will be satisfied. Thanksgiving is full of traditions; from the turkey to the cranberry sauce there are certain dishes that are on the table every year. Traditions are always a part of Thanksgiving, but why not try something new too?! If you want to spice up the table this year check out this resource for some fun side dishes like bourbon sweet potato casserole with bacon and pecans or stuffing muffins! Cleaning up the house is a ritual as important as the turkey carving, it always happens no matter what. We all want to impress friends and relatives with a shiny and tidy house. Did you know that with just baking soda and vinegar you have a shower cleaner, carpet stain remover, AND a microwave cleaner? Check out this awesome resource from our website for directions and even more tips to make your clean up easier. If this is your first time hosting, it may be hard to figure out where to start. Do you start by planning the meal? The cleaning? The decorating? There’s not always a perfect place to start, but make sure to keep it clean and more importantly keep it comfortable. Think about the temperature and space in your house: the oven will create a lot of heat so maybe turn down the thermostat and create a designated area for your guests’ coats and purses to help with clutter. 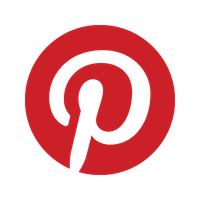 For more tips check out our blog post, Preparing Your Home for Thanksgiving. Lots of people will be in your house on Thanksgiving Day. Some may even be there days before and after, so make sure your home is inviting and homey for them. Providing a comfortable place to sleep, leaving a fan in their room, or even creating a welcome basket with shampoo, tissues, and most importantly the Wi-Fi password. Thanksgiving is always a time to catch up with relatives and old friends. The typical “What are you doing these days?” and “Are you dating anyone?” questions will be asked, but what do you talk about after? Check out this resource for conversation starters between adults and even between adults and kids! This’ll make sure there’s never a moment of awkward silence at your dinner table. If you’re having any troubles planning your Thanksgiving meal or preparing for your guests, make sure to check out these resources and keep them handy! We hope everyone has a happy and warm Thanksgiving Day! Making a move to a new home often means also moving to a new town. This presents an opportunity to explore what many towns around you have to offer. 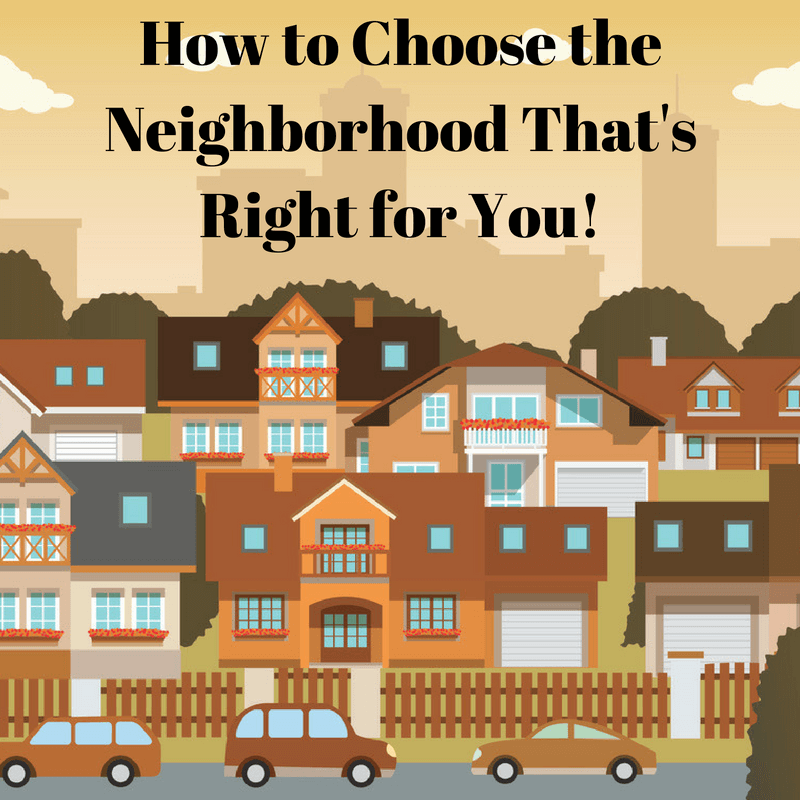 Because the neighborhood around you will greatly affect your satisfaction in a new house, we recommend really narrowing in on your top neighborhood choices before searching for the perfect home. Wait to begin falling in love with potential houses until you know you could truly feel at home in that community. Here are some tips to help you choose the neighborhood that’s best for you. Research neighborhood schools and school systems. If you have school-aged children, this will likely be one of your top priorities. School zoning is very specific in some areas: your children’s schools can be determined by your home’s exact location. 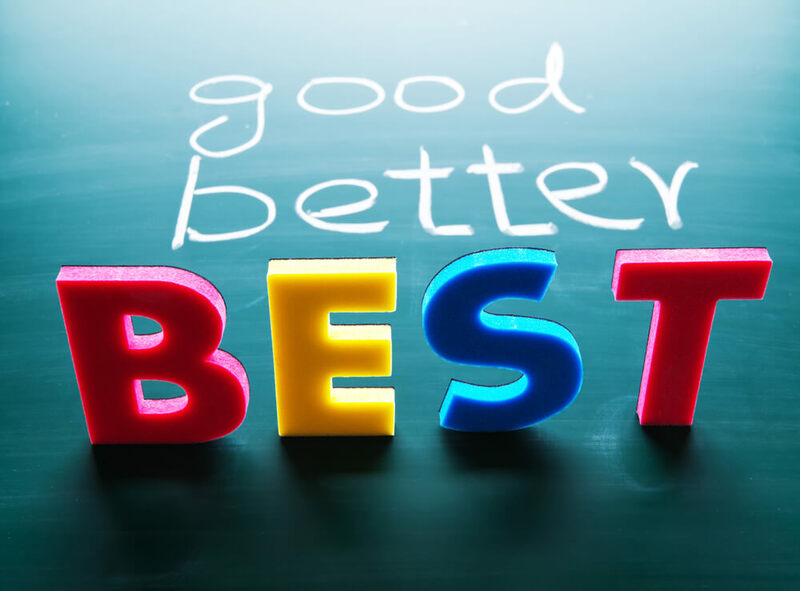 You want to make sure your new neighborhood offers a school system that gains positive reviews and boasts passionate teachers and administrators. Decide which conveniences are important to you. Do you want to be able to walk to a local coffee shop or to a nearby library? Are you interested in a quiet area with minimal traffic? Do you want to be able to have your own backyard garden? Different communities offer their own charm, culture, and conveniences. Living in an area that allows you to walk to nearby shops may also mean heavy traffic and a higher noise capacity. Living out in the country will be quieter but also less convenient. Make a list of which communities have the conveniences that matter to you most. Look into which amenities your community should offer. If you have young, active children, you may want to look for areas that offer things like plenty of sidewalks, community recreation centers, family-friendly events, and children’s museums. For your own purposes, you may want your community to offer amenities such as a yoga center, a golf course, or a book store. Consider the accessibility of these things that will make your neighborhood fitting for your family. Consider which type of home you will be looking for. Once you start in the search for a home, do you hope to live in a newly constructed, upgraded house, or something more historic and quirky? Some neighborhoods, such as Irvington, have an enchantingly historic feel, from their community festivals to their individual homes. Other neighborhoods focus on efficiency and modern design. The neighborhood you choose will affect the types of homes from which you can choose. Understand the relationship between your budget and neighborhood expenses. All of the above factors (school systems, conveniences, amenities, and home type) will affect the overall cost of living in a neighborhood. Taxes and homeowner’s association fees operate on a wide scale depending on the factors of each neighborhood. Depending on your budget, you may have to prioritize your ideal characteristics for a community and choose an area that can make both you and your budget happy. Do your due diligence. Ask neighbors, friends, and potential neighbors what they know and like about certain communities. Visit multiple neighborhoods to develop your own impression, too. Consider the good and the bad to get an honest outlook on what each neighborhood will offer. Map out proximity to family and friends. Moving to a new community can mean moving closer to or further from your family and friends. If living close to these people is important to you, consider the driving distance to visit your parents or your sister’s house. If you visit these friends and family often, a further distance could put a burden on making weekend visits. Especially for those who have parents, friends, or in-laws who help to babysit or housesit, you will want to establish a new location that still allows you to reap the benefits of having loved ones nearby. On the other hand, sometimes it is nice to get out and explore a new, unfamiliar territory. If you’re getting tired of your mother-in-law stopping in (uninvited), it might be beneficial to choose a neighborhood that’s a little farther away! Understand what’s realistic. Of course, all of these tips are here to help you choose a neighborhood that is right for you. It is also important, however, to understand that nothing is perfect! You will likely have to sacrifice a few of your ideal community characteristics to find a neighborhood that will eventually become home. Some factors are fixed while others are moldable and will require compromise. No neighborhood will be perfect, but one will be just right for you. Choosing a new community and a new home is an exciting opportunity! If you need help researching a neighborhood near Indianapolis, IN, our expert Realtors would love to help! Here are additional articles you may find interesting! Moving into a new home is an exciting time for everyone. The dog explores her new back yard, you meet and make connections with your new neighbors, and your kids find new top-notch ways to build pillow forts during sleepovers. All the “new,” however exciting, can also be a bit scary and can cause some anxiety—especially for the kids. 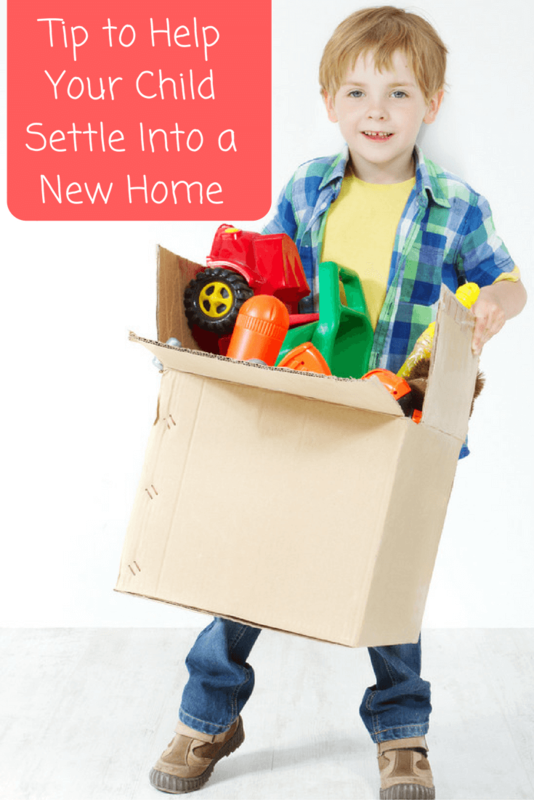 If you have recently moved into a new home or you’re thinking of moving, it’s important to consider the experience your children will have with this transition. A different home in a new location can all be a bit unfamiliar and therefore hard to accept. Be open and honest in talking about the move. Sometimes kids just want to know what’s going on. Whether you’re leaving town for a new job, moving just a few blocks away for a better home, or moving in with new family members, give your kids the most honest explanation you can. Especially if your children are old enough to understand and ask questions about the situation, it’s best for them to feel like they are involved in this change. You can work to make them excited about moving instead of just surprising them with the news. Finish their rooms first. Before you get to finalizing the placement of living room furniture and unpacking all the kitchen supplies, unpack and organize your children’s rooms. Giving them their own space will help them readjust and feel more at home. Cook a favorite family meal as soon as possible. Of course, the last thing you’ll probably want to think about after long days of moving and cleaning is cooking a large meal. However, as soon as you’re somewhat settled in and have the time on your hands, try to make your kids’ favorite meal and have the whole family together in your new home for dinner. Bringing this little piece of familiarity into the new environment will help your kids feel more at home. Having family dinners will also give everyone at the table some time to reconnect and talk about what they like about the new house or address any concerns/problems anyone might be facing. Start a chore chart. As crazy as it may sound, beginning a chore chart may help your children adjust to your new home in a unique way. Start with simple, helpful tasks that will allow your kids to take ownership of their new space. Giving your kids chores is a good way to teach them timeliness and responsibility when they’re young, and can be a good way to make the move just a small part of a larger growth opportunity. Get into old routines. Part of the fun of a new house are all the changes—new neighbors, new favorite restaurants, new backyard and so forth. It's nice to shake things up, but kids also respond positively to routine. To make your children more comfortable in their new home, try to resume parts of your old routine as quickly as possible. If possible, visit the new home and community often before the move. In order to stir up excitement for the whole family regarding the move, make visits to the new area where you’ll be living before the moving date. Learn about what types of clubs, sports, and activities the community offers and try to get involved. If your new home is vacant before you move in, take your children into the home and show them where the living room will be, where their rooms will be, and talk about all the fun things you’ll do together in your new home. Being able to imagine living in the new home and getting excited about the move can help ease some of the scary feelings. Regardless of the reason you’re moving, it can be an exciting time for everyone in your family. Try to focus on the positives in helping your children adjust, and remember these rules when you’re trying to adjust to the move yourself, too! If you have more tips for easing the family into a new home, please comment below! Selling your home is a process that will bring up many questions, ranging from, “What is that weird smell in the basement?” to “How do I get my home appraised?” One of the questions we all hope to consider is “Which offer should I accept?” It would be a good problem to have if you are making this decision! It means your home is so appealing that multiple buyers are bidding to take the sale. Of course, price is something to consider. 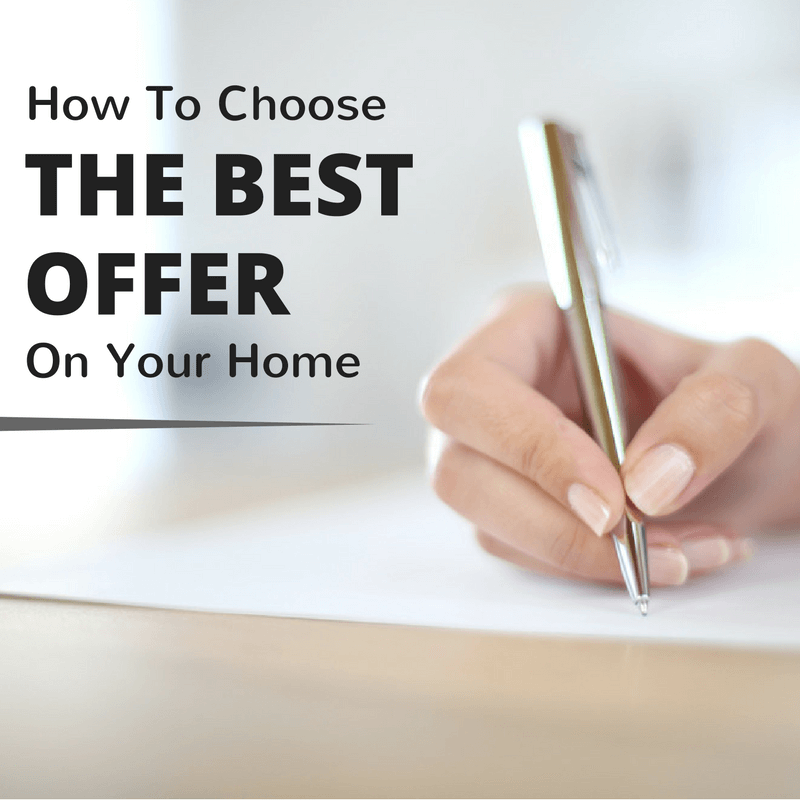 An offer is only appealing to you, as a seller, if it compensates you for what your home is worth. Despite the importance of the offer’s amount, there are other things that may be important to factor into this decision. Let’s say the offers you are considering are comparable: no one stands out as a clear monetary winner. How do you choose? One thing to consider is what the sellers have offered regarding the closing and down payment. If you’re looking for the process to go quickly, you might think about choosing a seller who has a relatively large down payment ready and is guaranteeing a swift closing. What else can a buyer do to convince you? If a potential buyer knows he/she is entering a bidding war and does not have the ability to significantly compete with other offers, the buyer will often add to their offer with other negotiables. That could include waving some contingencies, or not making their offer contingent on an eventual inspection or appraisal. Additionally, the buyers may offer to be flexible in the closing costs and dates, making your moving complications less daunting. It might be worth exploring whether or not your emotional connection with your home can factor in its worth. Some buyers will write to the home seller and tell them about their excitement for the future of the house and growing in it with family. If you have a sentimental connection to your house and want to make sure it is put in the hands of a person who will proudly take care of it, you may want to choose the buyer who has taken the time to write a nice letter. Lastly, you will want to consider the financial stability of buyers when considering multiple offers. You should know where the money offered is coming from and be sure that it’s a viable offer before accepting something based on its worth alone. A high offer is not necessarily better than a low offer if the buyer cannot come up with the money he/she has promised. Be sure to check which buyers have obtained mortgage pre-approvals! We wish you the best in your house-selling endeavors and hope you will use all the tools at your disposal to make the right sale. Leave a comment if you have advice for others or further questions about deciding between multiple home offers.